Following the success of the fundraiser campaigns for both Barry Oursler and Python Anghelo, the IFPA is proud to announce that we are teaming up with Project Pinball to help raise funds for their charity. July 2014 will be "Project Pinball" month at the IFPA. Similar to the other fundraiser campaigns, the IFPA plans on treating each of these Project Pinball tournaments as a unique event, worth full value WPPR points, even if a particular location is already hosting another annual event in 2014. Get in touch with the IFPA at ifpapinball@gmail.com if you're interested in setting up an event and we'll work with you on getting it added to the IFPA calendar. We hope to set up events nationwide and use competitive pinball as a way to help raise funds for this great charity. The tournament must be scheduled to be played in the month of July to qualify. 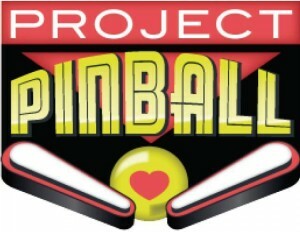 Project Pinball Charity is looking at putting on a month long fundraiser for its “placing pinball machine across the globe campaign”. This fundraiser will starting July 1st and running until July with the help from our friends at the International Flipper Pinball Association. Before I get too far ahead, I would like to give a quick and brief description of what Project Pinball Charity Group is and what we do. Simple- Project Pinball puts pinball machines in the Children’s Hospitals at no cost to the hospitals. Plus we do all the maintenance and upkeep on a monthly basis to keep these machines up and running. This is where you come in and where we need your help. We would like you to help by organizing and running tournaments or fundraisers that will help us with this growth so we can be in the capacity to provide machines, support and service to your local hospital in your communities. This is a loftily goal but one we are going to stride for. This going to happen one community, one hospital and one pinball machine at a time and will be a lot better and more than what we had four years ago when we started our charity. We have been working with the IFPA and have greatly appreciated their help, guidance and insight to assist us to bring this to the pinball community. IFPA will allow WPPR points to given to those participating in this charity drive to help entice players to attend. They will grand 25 point base for the main tournaments and then 12.5 base for a side tournament. I would like to list several locals, cities, town and etc.across our globe that are willing to participate to help others in need. Personally, I am willing to help you get a good jump on organizing, hosting, contacting people, players, sponsors and more. I am willing to listen to the needs that we have in our different communities to successfully form a plan that will aid in accomplishing our goals. Let’s make this huge success that we can make it be, to give the patients, kids, parents, doctors, nurses that could use our special help by providing a pinball machine into their lives.